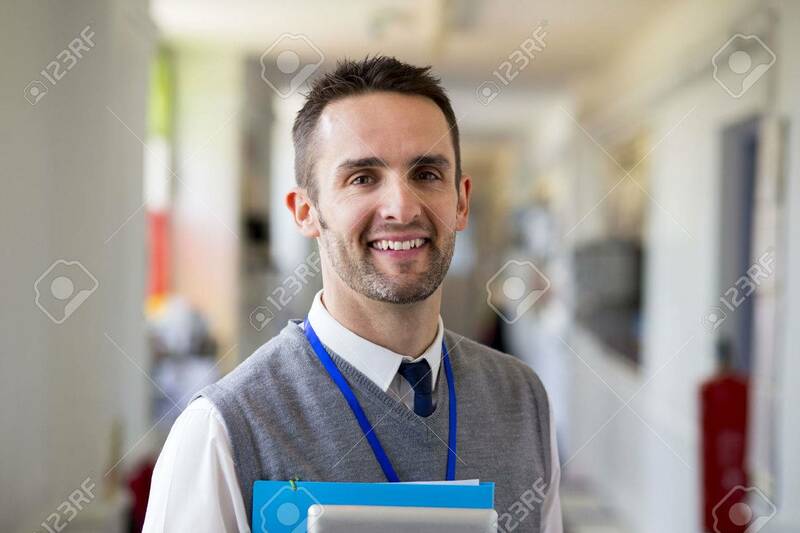 A Happy Male Teacher Dressed Smartly And Smiling In A School Corridor. He Is Holding Folders And A Digital Tablet. Royalty Free Fotografie A Reklamní Fotografie. Image 43374625. Reklamní fotografie - A happy male teacher dressed smartly and smiling in a school corridor. He is holding folders and a digital tablet. A happy male teacher dressed smartly and smiling in a school corridor. He is holding folders and a digital tablet.